The market opportunity for medical devices has never been greater. Rapid advances in software, hardware, networking and communication technologies are paving the way for dramatic innovations in device design and functionality. Medical device makers today are producing machines with amazing new capabilities for saving and improving people’s lives. By doing so, they are contributing to a large and rapidly growing market. According to industry analysts, the medical device market in 2010 in the United States alone generated nearly $95 billion (“The Medical Device Market: USA,” February 2011, Espicom). To capitalize on growing opportunities in this market, device manufacturers must address a growing roster of challenges including regulatory compliance, the rapidly increasing complexity of devices and the ever-shrinking development cycles. A common thread that weaves through all of these challenges is software—or more precisely, software quality. The amount of software content built into devices doubles about every two years. Because software controls many of the most desired features and functions in devices today, it is a major source of product differentiation and competitive advantage. With better software, devices can offer standout capabilities, win more customers, and capture greater market share (Figure 1). Figure 1: Embedded software is now the primary source of differentiation for medical devices. Since lives depend on medical devices, safety has always been and remains the primary yardstick the U.S Food and Drug Administration uses to assess and validate these products. With their ever increasing amount of embedded software, these devices must be proved safe and effective by showing that their software components perform as they should. That boils down to software quality testing. With more software content utilizing increasingly complex architectures, and with truncated development cycles, effective software quality testing is a tall order for many medical device manufacturers. With inadequate testing tools and processes, it’s easy for software quality problems to sneak into machines as they are being developed. These quality issues can lurk undetected inside devices and emerge late in the development cycle, during validation or—even worse—after a device has been shipped to customers. The result can be major financial problems and brand damage for device manufacturers. Executives and development team leaders at medical device companies are very busy people with many items competing for their attention. It’s natural for them to cull out and work on their most strategic issues while delegating the less strategic and tactical ones. So the question is, how does software quality testing rate in importance relative to the myriad other issues facing executives every day? The answer should be “critically important.” Beyond financial losses from product liability and civil law suits, quality problems that result in product malfunctions can be devastating to a company’s reputation and brand. When a company’s brand is negatively impacted, the financial damage can be incalculable. Traditional tools and processes are still valuable, but they are not enough to let teams keep pace with their growing requirements. The mismatches between tools, workloads, schedules and reality are resulting in software quality problems that can easily turn into business problems. When problems happen, management teams are forced into reactive mode and are often left with no good options. In addition to operational disruption and revenue misses, these issues erode the confidence of all stakeholders in the quality, reliability and safety of a company’s products. Those three major issues—compliance, complexity and shrinking cycles—are what medical device makers must address and overcome to win in this market. The regulatory environment for medical devices creates hurdles that are well beyond what most other device makers have to deal with. The reason is obvious-medical devices are routinely involved in life-or-death situations. Regulations are shaped to advance the primary goal of protecting the safety of patients and healthcare professionals who use medical devices and equipment. Software failures in medical devices can put people’s lives in danger. To minimize this danger, the FDA mandates that to market and sell medical devices in the United States, manufacturers have to prove that their devices—and the software that runs them—are safe and effective. Specific to medical device software, the FDA requires manufacturers to show that their software development process adheres to a well-defined quality assurance system. What is confounding to many manufacturers is that the FDA does not specify the nature, structure, or content of the required code-writing and testing processes. The FDA provides no benchmark. Instead, it provides only general guidance. For device makers, this leaves a lot of gray area and some confusion about exactly what is acceptable for software development processes and what is not. An additional source of confusion is the FDA’s differing premarket and postmarket requirements. For premarket approval, the FDA requires valid scientific evidence of a reasonable level of safety and effectiveness for a device. Winning such approvals allows devices to go on the market, but it doesn’t guarantee they’ll stay there. Lastly, there’s the confusion that comes with the likelihood that new legislation will significantly alter existing regulatory requirements, or create entirely new ones. As every manager knows, it’s very difficult to plan for and manage an unknown. In this complicated and changing regulatory environment, what are the smartest regulatory compliance strategies for software in medical devices? How can device makers ensure that the software they are embedding in their devices is safe and effective; can earn premarket approval; can pass postmarket testing if necessary; and can be delivered on time and within budget? How can device makers improve their software development and testing processes, automate the documentation of those processes, ensure that those processes are adaptable to change, and do it all efficiently and cost-effectively? There are many ways to accomplish these goals, but the most effective way for device makers to simultaneously address all of them is to adopt a next-generation software quality testing platform. By doing so, device makers can create a single, cohesive and efficient environment that has the ability to seamlessly integrate legacy systems and processes as well as historical data. It should be able to efficiently produce evidence of device safety and effectiveness by automatically generating documentation of software development and quality assurance processes. At the same time such an environment could easily facilitate benchmarking, peer reviews and regulatory reviews with minimal disruption to normal operations. Given the complexity, pace of change and regulatory uncertainties in the market, automation is the only way to achieve the efficiency, cost-effectiveness and flexibility that medical device makers will need to remain competitive in this dynamic market. 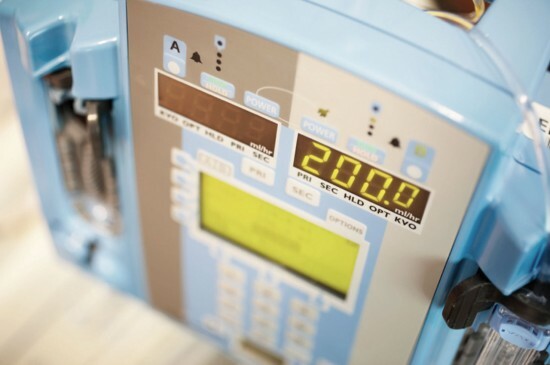 The increasing complexity of medical devices has to do with the breadth, power and sophistication of technologies now being embedded in these devices. Devices are clearly pushing the envelope with higher performance, capacity and density. Many of them now feature 32-bit or 64-bit architectures that leverage multiprocessors and multicore technologies. They are utilizing technologies such as wireless connectivity, 128-bit encryption, web services and graphical user interfaces. Many are using multiple operating systems within a single product with hypervisor-based virtualization technology. 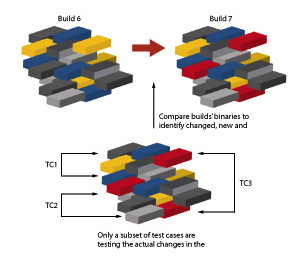 Figure 2: In complex software systems it is important to understand which parts of the code have changed, and focus testing on changes only. Another element that is adding complexity is the “platform effect.” Devices are no longer fixed-function but are increasingly based on software platforms that are updated with new features that are downloaded from the manufacturer many times during the life of the device. Testing, tracking and maintaining all this new software adds another layer of complexity to the device software management task. Shrinking Development and Test Cycles. Figure 3: One advantage for test planning and management is the ability to find and identify untested code. Due to the extremely competitive nature of the medical device market, product development teams are being tasked with delivering high-quality products in much less time—regardless of the increased content and complexity of the devices being developed. To handle this requirement, development teams at many medical device companies have transitioned to an iterative or “agile” style of development. In agile development methodologies, the lengthy single development and test cycle that characterized the traditional “waterfall” development method is replaced by many smaller and shorter cycles. These faster cycles are intended to give developers earlier, better and more frequent feedback about how well they are meeting functional and quality goals. They are also intended to drive greater flexibility into the development process so it can accommodate changes more readily (Figure 2). Faster time-to-market and a development process that can accommodate latebreaking changes are great advantages to a medical device company. This only holds true if the quality of the software being produced remains high. In an agile environment, however, software quality testing becomes a nonstop exercise aimed at moving targets. It is usually impossible to test every permutation and execution path for a device within the time allotted. Therein lies the risk. Addressing the challenges of quality and speed in a way that is precisely aligned with the business needs of medical device companies requires a next-generation automated software quality testing solution. Such a system must optimize test execution for any embedded device including those used for medical purposes. One example is Wind River’s Test Management. Test Management is a scalable system that complements existing test and development environments with enhanced automation, control, traceability and feedback. 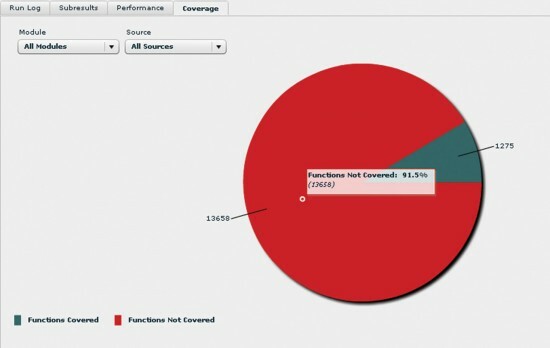 It leverages dynamic instrumentation technology to measure test coverage, map tests to the code to execute for traceability, profile performance, enable “white-box” visibility, and speed up diagnostics of complex devices—all at run-time. The system works on production binary code with no special build or debug information required. Users and managers can easily access the system through a web-based collaboration environment. Features of this environment include a test planning framework, an open test engine, a virtual lab device manager, a test database, and a robust reporting engine (Figure 3). Since Test Management is an open, standards-based system, its features can be easily integrated with customers’ existing quality management or test environments. The supervisory nature of such a system enables test teams to effectively automate more of their time and resources by leveraging run-time visibility into devices under test. The system thus has the ability to give test teams real-time access to the internals of integrated medical devices while those devices are actively under test. To get products to market and keep them there, medical device makers have to demonstrate to regulators—with substantive documentation of software development, QA processes and testing results—that their products meet the higher standards of safety and reliability that are required. Unlike other industries or sectors, where software malfunctions due to odd edge cases or unusual usage circumstances can be more easily forgiven by customers or users, medical device manufacturers operate with much narrower margins of error— and much higher culpability if things go wrong. For medical device makers, these higher-order challenges are heaped on top of all the typical testing-related issues that face software developers today: burgeoning complexity, truncated development cycles, competitive “feature wars” and time-tomarket pressures. The bottom line in medical device software is that innovation, along with fast and reliable delivery, wins the day. Since safety is paramount, the development and testing processes must be “industrial strength” and well-documented. Traditional development methods and legacy testing tools simply will not support success. They are no longer adequate for today’s complex, software-driven medical devices. Development and software QA managers know their teams can’t simply work longer or harder. They must find a way to work smarter. They need better ways to deal with device complexity, shortened development cycles and regulatory compliance. They need to be able to leverage cuttingedge technologies without jeopardizing the approval process or risking product liability lawsuits. An automated software quality testing solution can ensure that any organization will be better positioned to meet the operational and regulatory challenges in the medical device industry. It can help achieve business objectives by reaching software quality goals—and documenting the results for compliance purposes—on time, within budget and with confidence.